Since its establishment, PWN has been a reliable and trustworthy source of knowledge. In the PWN Group, we are aware of this commitment and we value the tradition that has brought up generations of Poles. Simultaneously over the years we have consistently been improving ourselves because we believe that thanks to the constant development and the achievement of new competencies, we are able to meet our customers’ needs more effectively. PWN is a modern and open to challenges organisation. 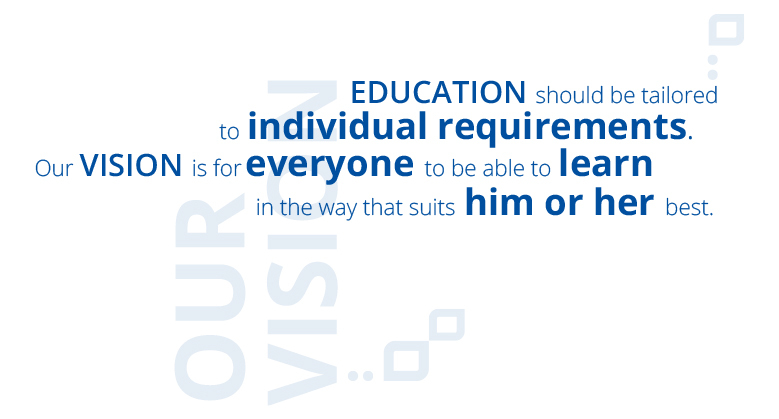 Our vision is for everyone to be able to learn in the way that suits him or her best. Therefore we observe the changing circumstances in science, education and business sectors very closely.The knowledge gained in our observations is implemented into our undertakings. We want to develop new business areas constantly, create innovative educational solutions as well as support our customers in the education process and lifelong improvement through our products and services. Knowledge is our passion. Discover its power with us. The PWN Group operates in three key areas, viz. publishing, distribution and e-commerce. The Group currently consists of over a dozen companies, including Wydawnictwo Naukowe PWN (Polish Scientific Publishers), PWN Wydawnictwo Szkolne (PWN School Publishing), Wydawnictwo Lekarskie PZWL (PZWL Medical Publishing), Dom Wydawniczy PWN (PWN Publishing House), as well as OSDW Azymut, the largest distributor in the industry, and the PWN chain of bookstores. PWN Group publishers bring out over 500 titles every year. These consist of books, e-books and multimedia products. These publishers specialize in delivering knowledge in many different areas, especially the exact sciences, economics, management, IT, psychology and medicine. Readers are offered a wide range of publications, as well as highly specialized works. Tourist guidebooks, travel literature and non-fiction are also available. PWN additionally organizes conferences, symposia, training courses and workshops for scientific personnel, lecturers, and professionals in many different fields. PWN has consistently focused on technological development and product innovation. IBUK Libra, Poland’s first virtual reading room for institutional clients, is a case in point. IBUK Libra has 10,000-20,000 titles from more than 250 acclaimed publishing houses to choose from. It has hundreds of customers, including the largest and most reputable higher education institutions, public libraries, state institutions and private companies. Advanced technology and online access have made it possible to use the service anywhere anytime. The platform lets you work with text and read books. You can acess these resources with a computer, laptop, tablet or smartphone. IBUK Libra now has over 2 million readers every year and that number is growing, thanks to its many advantages. Our innovative approach to creating learning spaces and materials also makes it possible for us to extend our range of goods and services into new segments. The best evidence for this are preschool education and children’s items (e.g. Kindergarten Calendar and Trampoline). These are enjoying a great deal of success and helping PWN increase its market share. These materials come with interactive exercises (for mobile devices and interactive tablets) made to suit the skills and manual dexterity of children. PWN provides training and conference services that target various customer groups, including doctors, nurses, academics and other professional bodies. The standing of the PWN Group as an entity that offers training and conference services has consequently been raised and expanded with new groups of customers. The PWN Group began an intensive consolidation and expansion of its e-commerce division in 2013. PWN Group e-commerce currently comprises the online bookstore - ksiegarnia.pwn.pl, the store ravelo.pl, the on-line reading room ibuk.pl and the bulletin board system (BBS) BiblioNETka.pl. These are the perfect complement to the Group’s traditional operations. The PWN Group is committed to providing reliable knowledge and innovative educational solutions of lifelong use. All our enterprises are the result of analyzing the needs of our customers. We are constantly refining our products and services, and the ways we operate. We like to experiment. We believe that innovation is the key to our success. We are the first to notice changing circumstances and exploit new opportunities. We set ourselves ambitious goals and take responsibility for achieving them. We work with energy and passion. We are successful in the marketplace. We achieve more by drawing on a variety of skills and abilities. We speak frankly about problematic issues, ask questions, listen to each other, and find solutions together. We are dauntless and stimulate creativity. We create reliable sources of knowledge and effective educational solutions. We work with recognized experts and authorities. We set the standards. Wydawnictwo Naukowe PWN was founded in 1951. We celebrated our 65th anniversary in 2016. PWN began by publishing textbooks and academic scripts. Over the next few years, we obtained the reputation of a general publisher whose titles were a must in every Polish home. 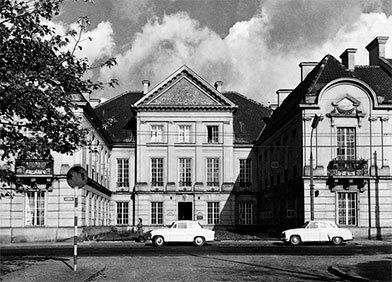 PWN began working with foreign publishers in 1956. This gave our readers access to the latest scientific achievements around the world, and the translations we published contributed significantly to the advancement of scientific thought in Poland. PWN also assumed responsibility for popularizing Polish science internationally by publishing Polish scholarly works in co-editions with the world’s largest scientific publishers. The most significant publishing endeavors in Poland at the turn of the 21st century are being undertaken under the aegis of Wydawnictwo PWN (Polish Scientific Publishers) – the publication of the New PWN Universal Encyclopedia, the Great PWN Encyclopedia, thematic encyclopedias, and a series of great Polish dictionaries and foreign language dictionaries published in conjunction with such prestigious publishing houses as Oxford University Press. PWN was privatized in 1991, and the Luxembourg Cambridge Holding Group (LCHG), an international investment group, became the major shareholder in 1992. 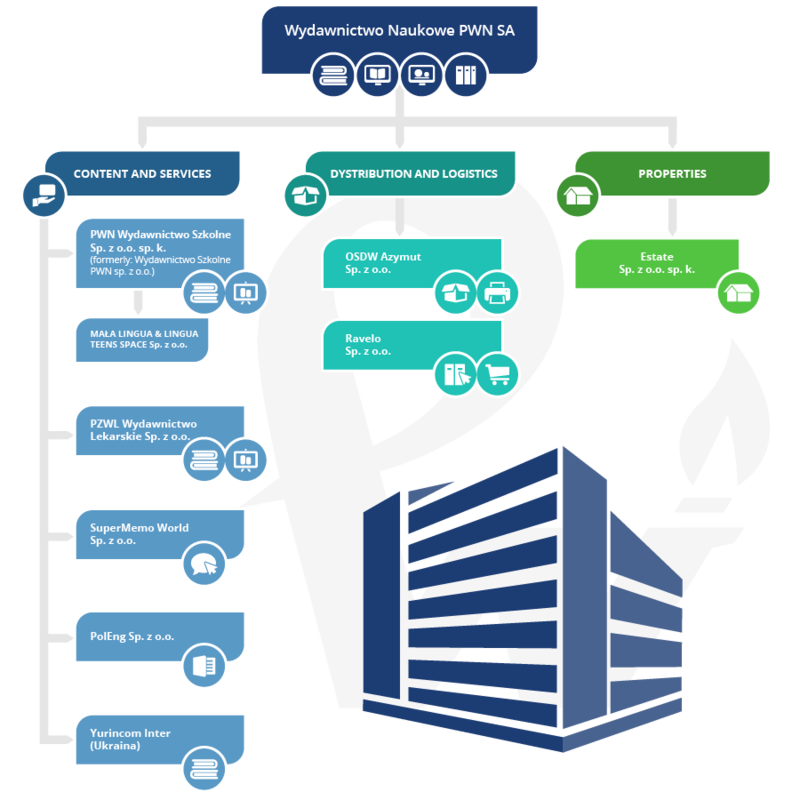 Following further changes, PWN was restructured as a joint-stock company, Wydawnictwo Naukowe PWN SA, in 1997. Over the following years, Wydawnictwo Naukowe PWN created a capital group of publishing and distribution companies. The PWN Group has consistently been realizing the guiding mission of an authoritative, reliable and up-to-date source of information that meets all its customers’ needs from the very outset. PWN Wydawnictwo Szkolne sp. z o.o. sp. k.